I am sitting here literally in tears as I write this. I love my boys more than life itself, and I would do anything for them. Both of my kids have special needs—my oldest has Tourette’s Syndrome, ADHD, learning disabilities, and sensory issues; my youngest has ADHD, sensory issues, and undiagnosed behavioral and/or personality issues. My sons are really good kids. They are both very sweet and their antics and the things that come out of their mouths are pure comedy gold. They bring so much joy to my life. They are my everything. The biggest issue lies with my youngest son, who recently turned six. From day one, he has always been a very strong-willed and intense little guy. He is very curious about the world and is incredibly smart. He is very sensitive and feels emotions with every fiber of his being. A few years ago, I noticed that he was having major mood swings and would experience violent outbursts, usually resulting in his hitting or punching his brother, who is three years older chronologically, but emotionally, pretty similar in age. A little over a year ago, my youngest son’s violent outbursts turned into rages. His rage episodes usually involved my taking half-hour to hour-long beatings from him, in which I was punched, kicked, spat on, scratched…you name it. Fortunately, my son doesn’t rage often, but when it happens, it has occasionally gotten to the point where I am scared out of my mind and on the verge of calling the police on my own son. In addition to his rages, my son goes after his brother quite often. Losing a game, not being able to pick the movie they are watching, not being able to play with the toy he wants, etc.—often results in my son hitting, punching, and screaming at his brother. This happens on an almost daily basis. I can handle the outbursts, but I’m not okay with one of my sons being physically and emotionally harmed. My younger son is literally like a ticking time bomb, and you never know what you are going to get. Unfortunately, the fear of the unknown with him usually results in my older son really getting the short end of the stick in terms of having to give in and not having as much attention paid to him because we are constantly having to address our younger son’s behaviors. This is something my husband and I are working on, but it has been an uphill battle, to say the least. This goes beyond my younger son acting “bratty”. I can feel it in my gut that there is more going on than my son being simply “strong-willed”. I have a pretty clear understanding of child development, and I have pretty realistic expectations for my children. My husband and I keep things pretty structured at home and we keep things consistent in terms of the boys’ daily routines. We always give the boys 15-20 minutes advance notice when they need to get ready for school, or if we are leaving to go somewhere, or if they need to get ready for bed. We don’t believe in corporal punishment, so as you can imagine, my youngest ends up in timeout on an almost daily basis. We have tried taking things away, timeout (with the duration always appropriately corresponding with the boys’ chronological ages), positive reinforcement, and everything in between as methods of discipline for our sons. My younger son is normally incredibly sweet, and I often refer to him as my little “cuddlebug” because he is so loving and wonderful. His acting out behaviors have been really distressing because I know what a great little guy he is, and I don’t know where his anger comes from. My husband and I have provided our sons with a loving home environment in which they are allowed to be kids. They are happy and healthy and they don’t want for anything. We laugh together and we hug often. We have provided a good life for our boys thus far. My attempt to get services for my younger son has been a long process. The process began with trying to get help for his ADHD. He was incredibly impulsive, couldn’t sit still, couldn’t follow directions, and he couldn’t even sit through an entire meal without having to get up several times to run around between bites. We tried play therapy, to no avail, and were eventually able to start him on medication. 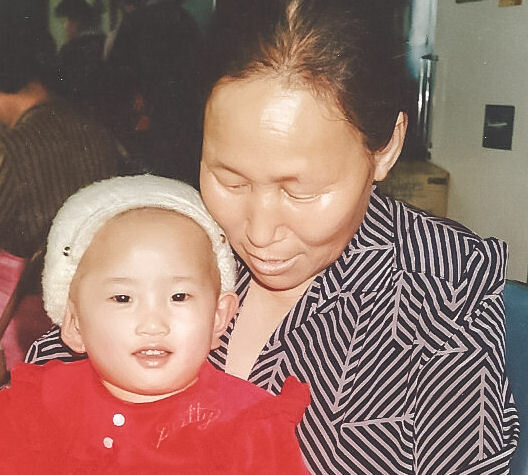 When the raging started, I immediately worked to obtain psychological services for him. I called an organization that has been known to be one of the best psychological service providers for children in the state, and I was able to get him on the waiting list. We waited for seven long months before being seen by a practitioner within that organization. My son started seeing an early childhood counselor there, and after a few sessions, I was told that there was nothing she could do for him and she wanted to stop seeing him. My son’s ADHD was preventing him from being able to answer questions and follow instructions during the sessions, and it was affecting her ability to work with him. Recently, he underwent a psychological evaluation through the same organization. Today, I was told by the psychologist that there was nothing developmentally or cognitively wrong with my son—something I was already well aware of. When I pressed for an answer as to what is behind his behaviors, I was told that he is too young to be evaluated for behavioral issues, and I have to wait a year or two before anything can be done to help him. You can probably imagine my frustration at this point. There is a 3-4 month wait to get my son into Occupational Therapy, which is pretty much the only option we have left. I am doing everything I can to find services for my son, and everywhere I turn, I am being told to wait, or that nothing that can be done to help. I know there is something wrong—I can feel it with every fiber of my being. There is something clearly going on with my son, and nobody is willing or able to help. I love my children more than anything and I love being a mom, but I need help. When you have a child with explosive behaviors, it takes everything out of you. You have days when you feel like you just can’t do it anymore. You have days when you are literally getting the crap kicked out of you, and you look at your child and think, “I love you so much—I will love you through the good times, and I will love you when it hurts—but I just don’t like you right now.” As a mom, it’s difficult to imagine not always liking your child, but when you are in the moment and you are being hurt both physically and emotionally by your child—that is your reality. It doesn’t mean that you don’t love being a mom, and it doesn’t mean that you are a bad parent. Sometimes you just need help, and it is heartbreaking and overwhelming when you feel like you are alone in this. I am trying to be the best mom I can be for my son, and I feel like my best isn’t enough for him right now, and it absolutely breaks my heart. I have done everything I can do at this point, and I guess all I can do is wait and keep loving my son. But, I sometimes wish those service providers who say, “You need to wait 1-2 years before we can help you,” could walk a mile in our shoes and see how “easy” waiting can be. I feel like I’m being thrust into the middle of a game I don’t want to play, and there is absolutely nothing I can do about it. I’m so sorry to hear you are having such a difficult time. It sounds as though you are a great mom who just needs someone to offer some help. Have you considered consulting with a behavior analyst? It sounds like the issues you are having all center around behavior and they could help with strategies on how to manage until you can find the answers you are looking for on the psychological side. Maybe someone in your area could help. If you are interested bacb.com has a section that you can look for providers in your area. I had not thought of working with a behavior analyst. I will absolutely look into this as a possibility for my son. Thanks so much, Brooklynn! I really appreciate it! I’m sorry it is taking so long for you to get answers. Blog about the good days and go back and read those often! Never give up and even when it seems that nothing works, your consistency will help. I’m not pretending that I have the answers because I surely do not. I can encourage you to stay strong because you are your sons number one fan. Thanks so much, Dawn. I’ll be sure to check out both resources and pose the question to your Facebook group. I really appreciate all of your support! Oh wow, your post is one that I have written many times over the years. Have you ever looked into the possibility that your son has FASD? He sounds identical to my daughter and that is what she has. My daughter is 12 now, and the rages have gotten totally out of control. We recently tried OT, for the 3rd time in her life, and after a few sessions, were told that we were done and that my daughter’s issues were greater than the OT could help with- she basically said it is behavioral, not sensory. While behavior specialists had thought it was maybe sensory, that she was seeking sensory input from the rages and ensuing restraints. The behavior specialist from Metro Crisis basically made a sticker chart. Made me want to barf. We have tried every kind of therapy and thing there is. 13 different meds, and the rages still continue. It is so hard, and I totally feel your pain. I do hope that you are able to get him some support from the county. Is that what you have tried? Is he on MA through TEFRA? We have had PCA help for the past year or so, and we would be in a horrible place without that support. Anyway, you are doing a great job, there is nothing you could do differently in loving and handling your son. I wish you the best. I am so sorry to hear you have been through so much with your daughter. I hope you are able to find the services you need to help her. My son is actually my bio son, so I know his behaviors are definitely not related to FASD. I don’t necessarily want a diagnosis for my son, but I have found it difficult to find services without one. Thank you for sharing your story, and for your words of encouragement and support. I really appreciate it! I am so sorry. Is he in school? Does he have an IEP or 504 Plan? I would recommend consulting a trauma therapist. If you want to email me what state you live in I would see if I can come up with any resources. He is in school, but he doesn’t have an IEP plan in place. I actually had someone from my state recommend a few trauma therapists for my son. Thank you, Debbie! Thankfully, we have really good insurance, so paying for any services for him won’t be an issue at all. Our insurance does cover mental health and OT services. I will definitely check out the book you recommended. Thank you! P.S. I hope it doesn’t sound like I am dismissing your recommendations, because I really appreciate them! 🙂 We are actually on the waiting list for a highly recommended OT. It will just be a while before we can get in. I can completely relate! Multi-tasking is my life! 🙂 I will absolutely let you know once I’ve read the book. Thanks so much for your well wishes and positive thoughts! BTW you are an AMAZING writer!!!! Really really amazing! I am so impressed by your talent at shaping words into such powerful touching personal testimonies. You really have a gift! 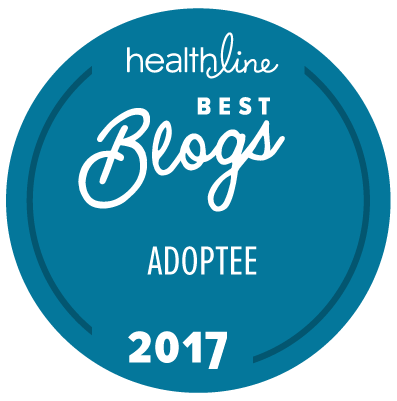 I just came across your blog b/c of your most recent post to adoptive parents and saw this post while browsing through your blog. Just wondering if you have considered neurological reorganization? You can join the NEUROnetwork yahoo group to find out about NR and lots of other treatments such as neurofeedback/AVE, dietary changes/supplements, etc that I think could be helpful for your son. Many of the parents on the group are adoptive parents, but not all, and the symptoms your son has are similar to those on the group. You sound like an amazing mom and advocate for your son! I believe you will help him. We are doing NR with our son and I wrote a bit about our experience with it here: http://www.helloothermother.blogspot.com/2012/01/regression-two-steps-forward-one-step.html.